Join the members of the Bay of Quinte PRIDE at the inaugural Beers for Queers – Belleville! This is a 19+ event. *What? 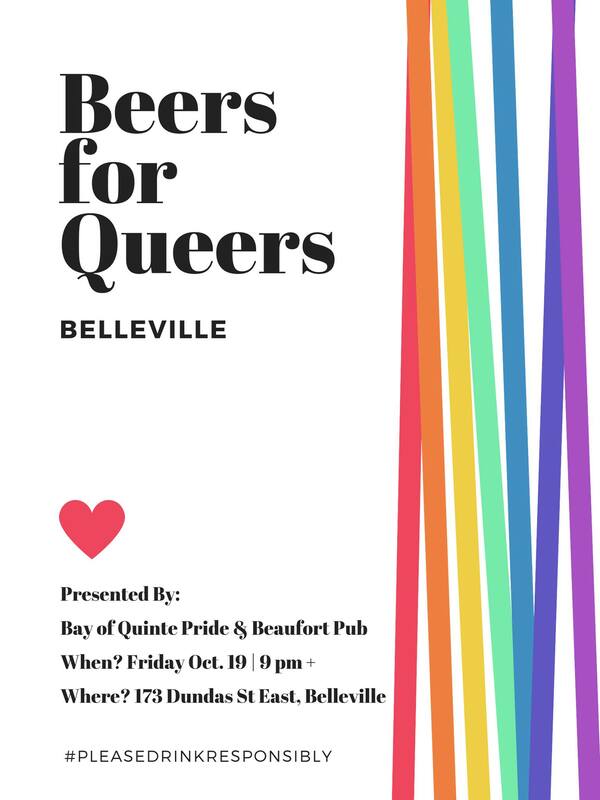 1st Monthly Beers for Queers – Belleville Presented by Bay of Quinte Pride and Hosted by Beaufort Pub. *When? Friday, October 19th starting at 9 pm until closing time (1 am) – Runs monthly on the 3rd Friday of each month. For planning purposes, please RSVP. Please remember to drink responsibly. User designated drivers, local taxis, and other means of transportation – please don’t drink and drive.